So here’s a look at my top 10 Projects or posts this year! Okay, so here was go! 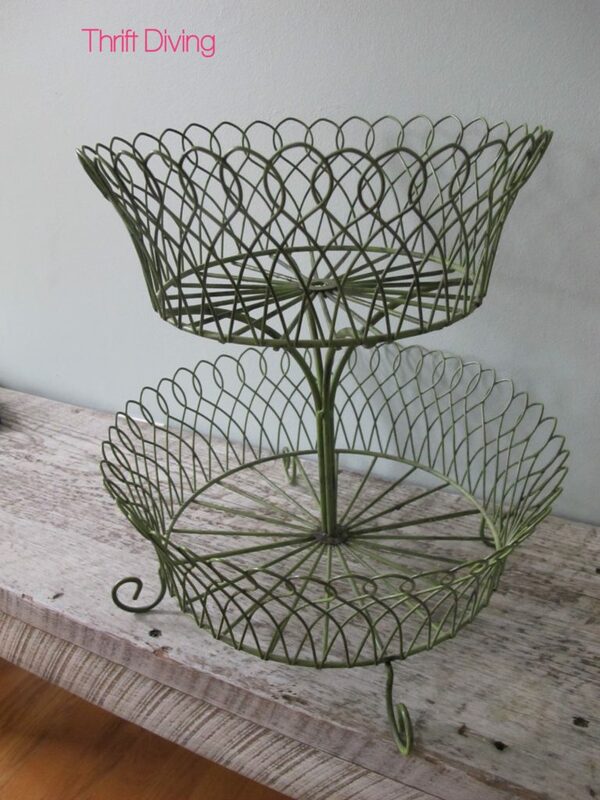 Yeah, so my Crate & Barrel wire fruit basket broke and it was too pretty to let it the dump have it. 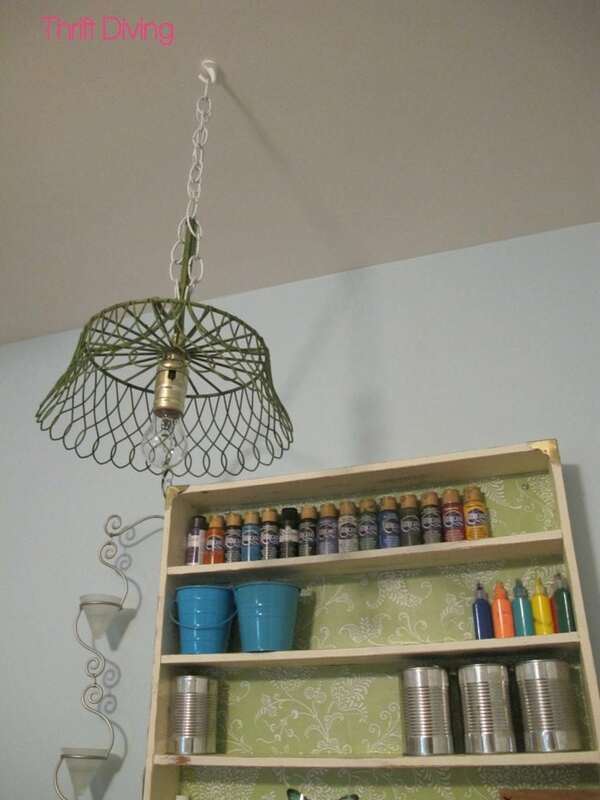 So I upcycled it into a DIY pendant lamps for my craft room! Very easy to do. This project was a total whim, but it turned out the way I had hoped! 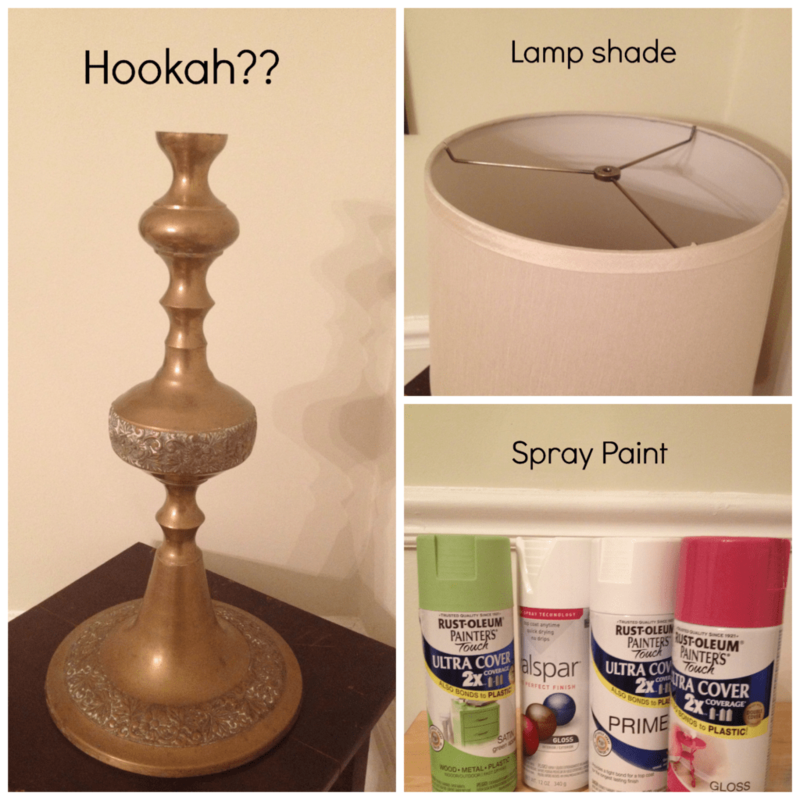 I dribbled paint down the side of a lampshade, and painted a hooka that I have found at the thrift store (only $5.00! 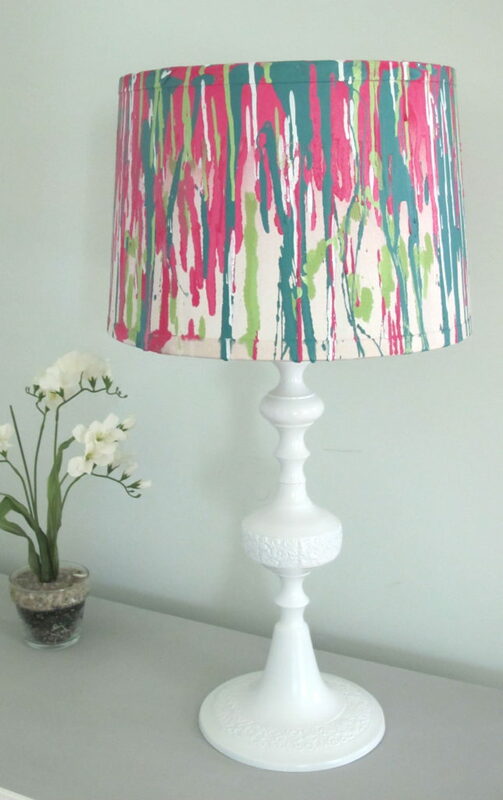 ), and used that for a lamp base. A very easy project anyone can do! If you’re a child of the ’80s (or a parent of the ’80s!) 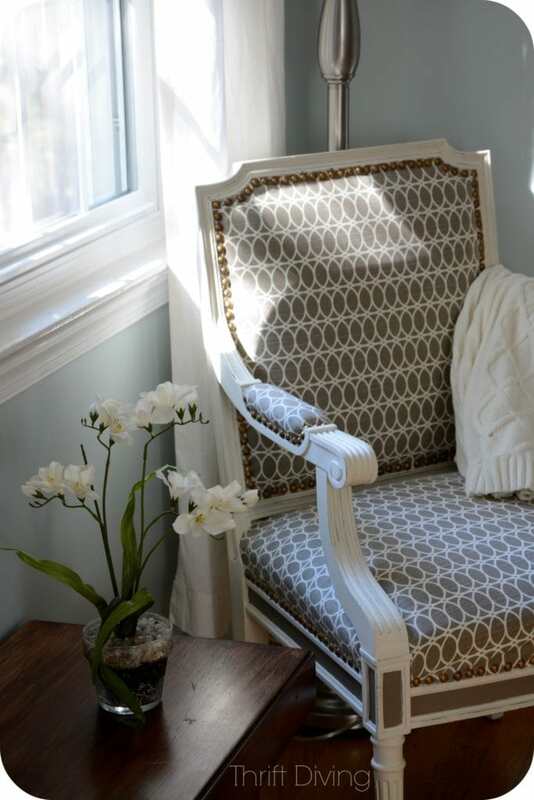 then you have seen this style of furniture in some little girl’s room! 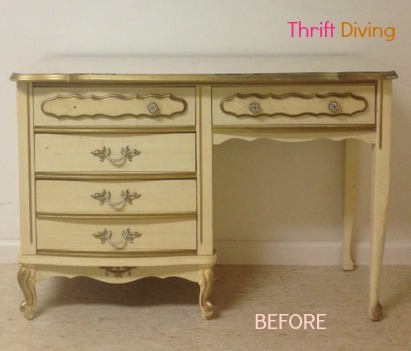 I knew it would make a perfect makeover. And I love gray and white together! This project is special because my Mom and I did it together for Mother’s Day :). When you had 3 kids, it’s not that often that you get to just hang out with your mom for a whole day with NO KIDS. But that’s what we did. And it was great! 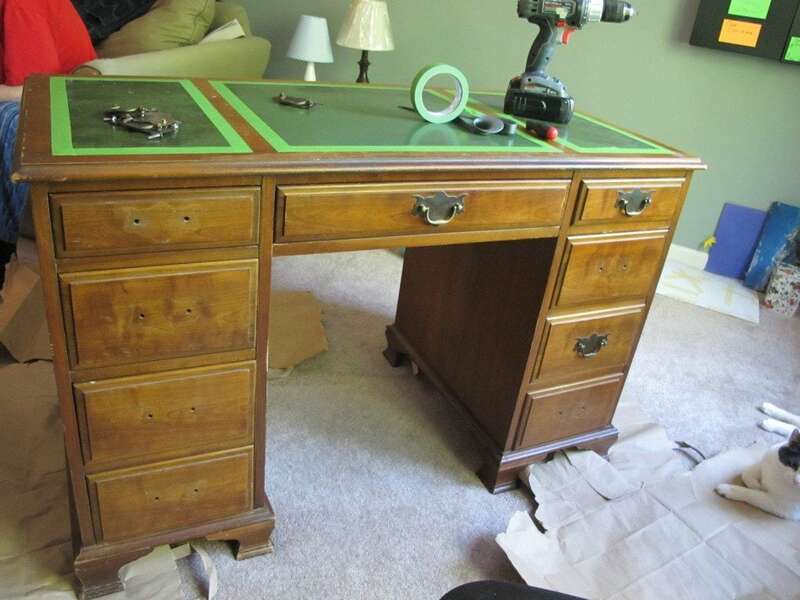 I had found the desk for $40 at the thrift store and decided to give it to her. Jeez….this is another favorite! Even my office mate at work was inspired and started making them because she saw this tutorial! 🙂 If you’re looking for a way to personalize any gift for anyone, or even a fun, unique “goodie box” for a kid’s birthday party, this is a great idea! 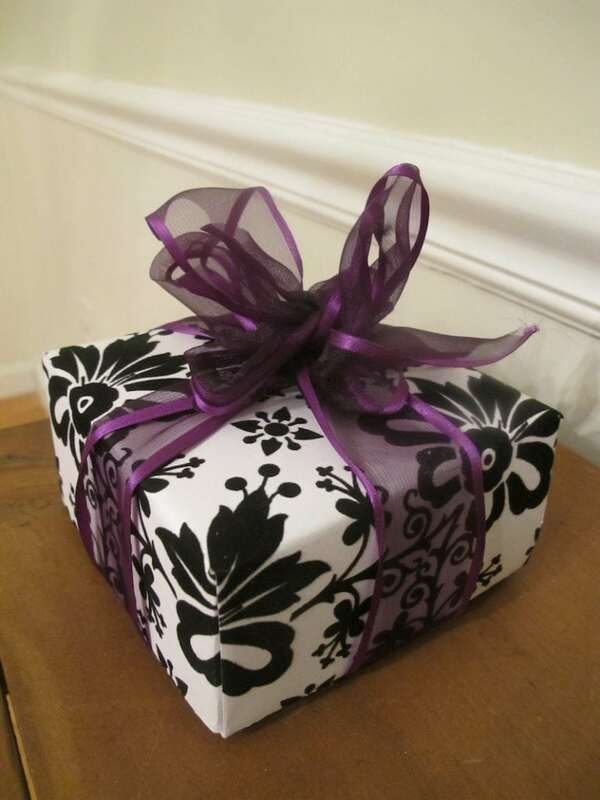 One reader even said that she made the box and used it to send leftover cake home with someone! AWESOME idea! 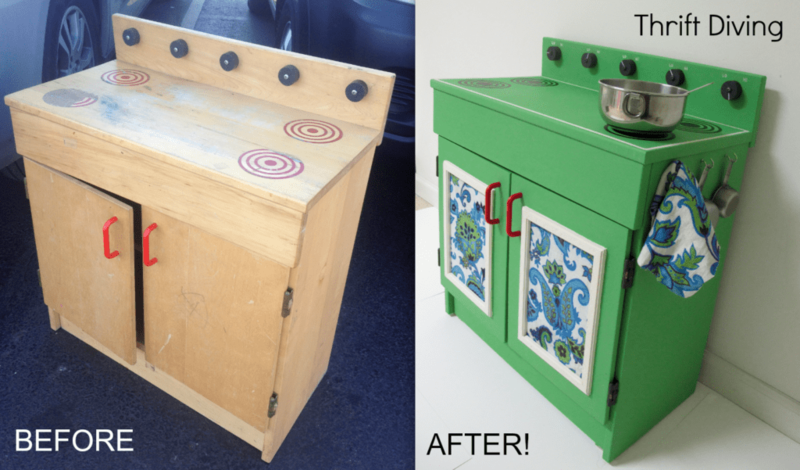 I think refinishing kid’s stuff is becoming my favorite kind of projects because you can be so much more creative! 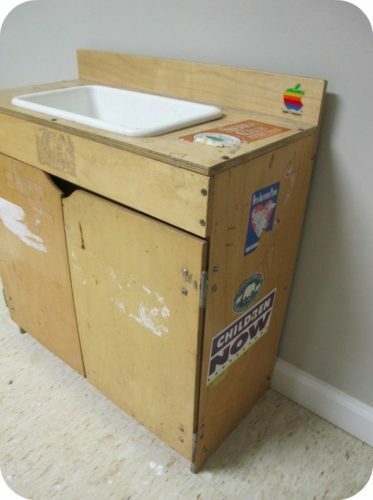 I found this play sink for $7 at the thrift store and wasn’t sure how I was going to make it over. It just slowly turned into a nautical theme! And I am starting to really love the nautical theme. 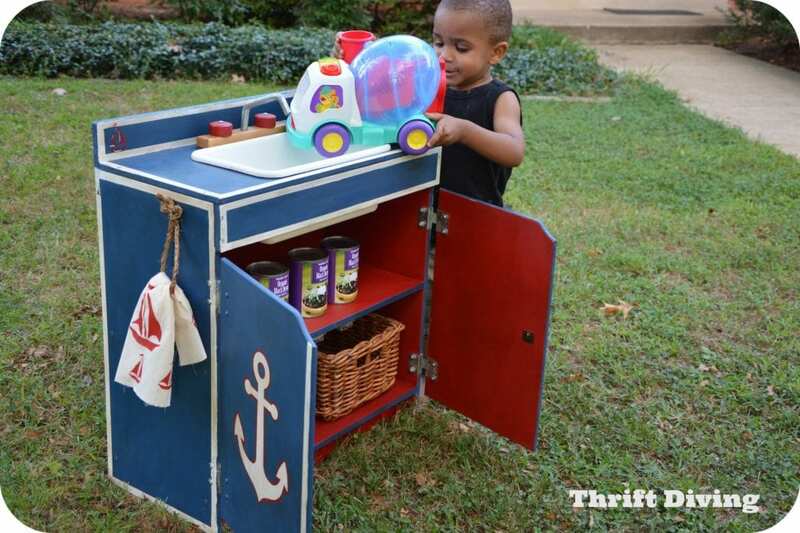 I may even decide to do a nautical theme in my 2-year-olds bedroom! 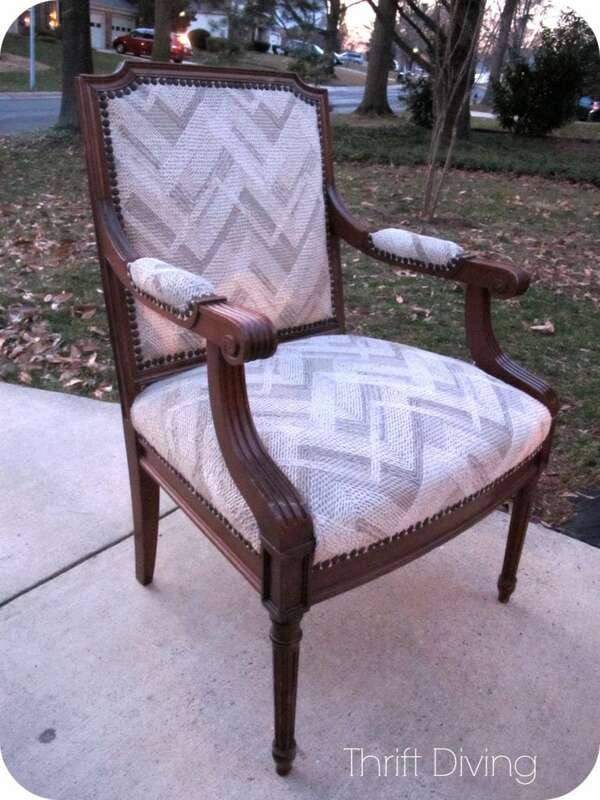 This was probably one of my most challenging projects because of all the furniture tacks! Yes, I could have used the tack strips, but I like to challenge myself to see if I had what it took to use “real” furniture tacks. HA! And you know what? It didn’t turn out half bad :). POWER TOOLS!!! Seriously, I’m obsessed. Walking through Home Depot is more stimulating to me than through Banana Republic. It’s funny how life changes, huh? 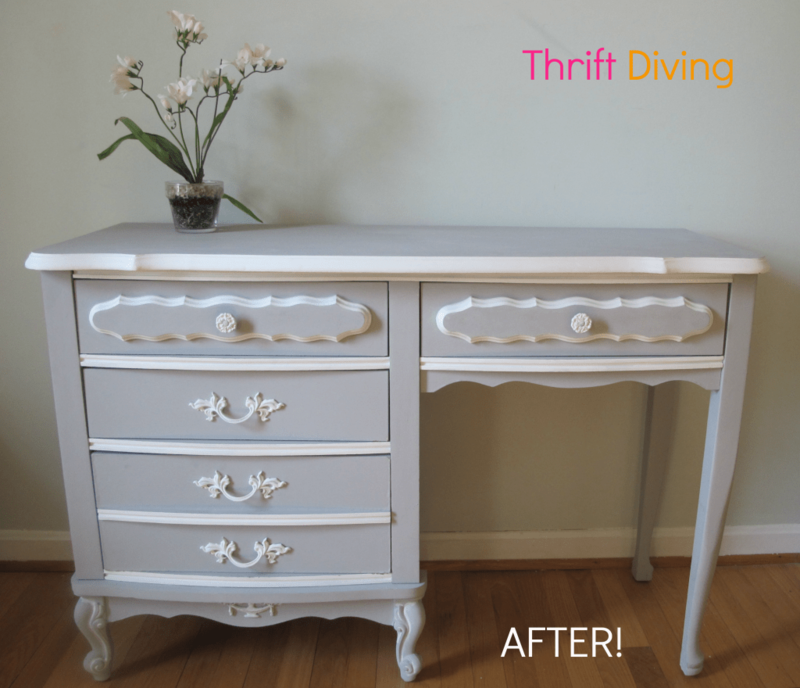 🙂 I can’t wait to do more furniture makeovers from all the thrift store finds I’ve been trying to clear from my garage. 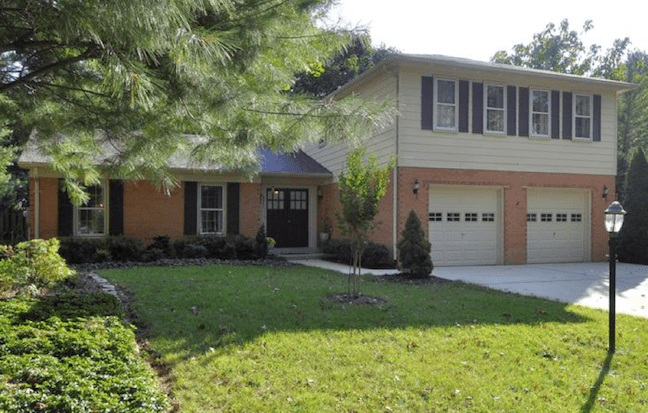 And I’m really going to be making strides in turning this 1973 home into something a bit more…..modern?? So expect to see more home improvement projects and “how-to” tutorials on using those power tools and doing those projects, like this tutorial on how to use a jigsaw for newbies. Ahhhh….and yes, a bit of crafting and more sewing…..and funny posts to help inspire us to keep doing our DIY thing! :). I just want to say thanks to all the people that have been following this blog, taking the time to comment and the share, and just be supportive! You guys ROCK! And a big shout out to all the newest subscribers! Here’s to another awesomely creative year!! You have been a busy gal! You are so creative and have such good taste, always fun seeing what you’ve been up to. Power tools, look out 2014!!! You were a busy girl in 2013. I like all of your projects but my favorites are the projects that you’ve made over for your boys. I look forward to seeing what you accomplish in 2014. Same here! I am reeeeallly going to try to plan and schedule my posts and projects. I have been operating sort of haphazardly for 2013. But 2014 is about getting SERIOUS!! WOO HOO! I’m into tool also looking forward to your blog 2014. I enjoy your thrifting a girl after mine own heart. Happy holiday to you and all your followers. Linda j.
Hi Linda!! Yay, another thrifting tool-obessed woman 🙂 We must thrift, build, and unite! 🙂 Thanks for your comment! Just found your blog not too long ago and I love it! Your posts have great ideas, and I so enjoy your writing and your humor! Thanks for this “Best Of” retrospective it gave me an opportunity to read more of your posts which I thoroughly enjoyed. Happy New a Year and I look forward to your posts! good choices! I remember when you posted each of these. So inspiring! Hey, Serena! I love seeing the projects finished over the year! 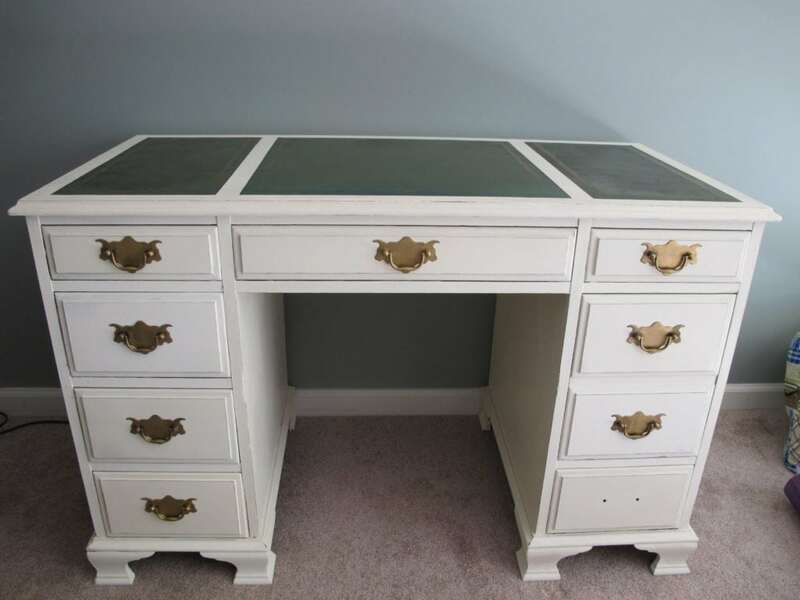 I am still screaming about the desk! BTW, could not see the name for the winner of the power tolls contest! Keep up the great work!! Love it! LOL! Thanks! Will do! You Rock!